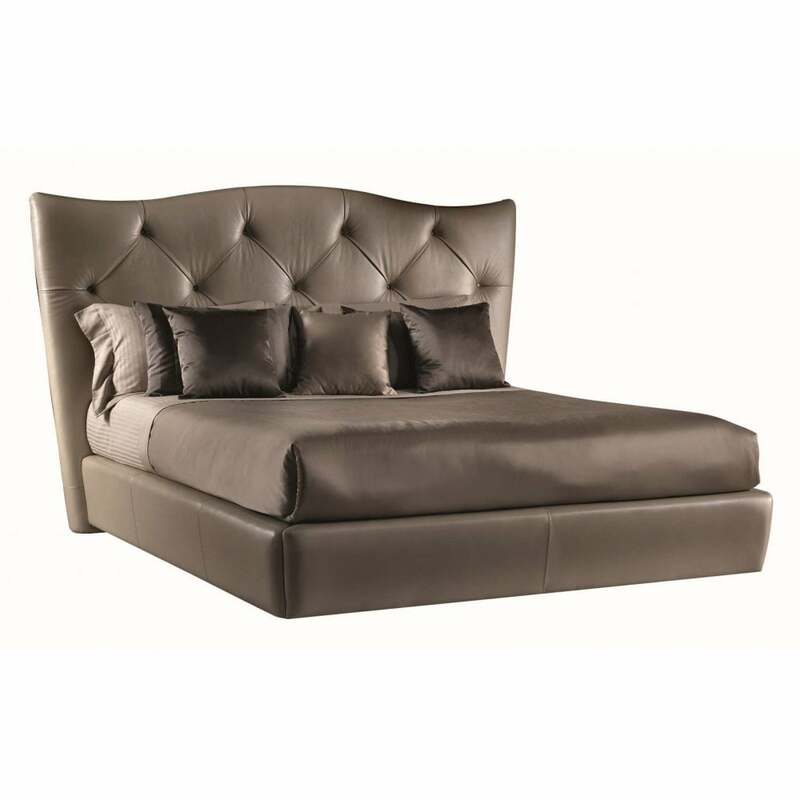 Add a touch of style to your bedroom interior with the Memento bed from the Daytona range by Signorini & Coco. The upholstered headboard and base includes dramatic detailing extended to the ornate Capitonnè style headboard. The winged edges of the headboard inspired by the luxury look often found in upmarket boutique hotels. The headboard can be finished in a range of options with fabrics available in a variety of colours including fabric, leather or nubuck leather. Style in the bedroom with complementary items from the Daytona range by Signorini & Coco.